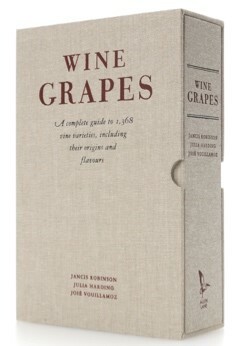 I am a co-author with Jancis Robinson MW and Julia Harding MW of the award winning reference book Wine Grapes (Allen Lane 2012). Where do wine grapes come from and how are vine varieties related to each other? What is the historical background of each grape variety? Where are they grown? What sort of wines do they make? Using the most cutting-edge DNA analysis and detailing almost 1,400 distinct grape varieties, as well as myriad correct (and incorrect) synonyms, this particularly beautiful book examines viticulture, grapes and wine as never before. Here is a complete, alphabetically presented profile of all grape varieties relevant to today’s wine lover. The book charts the relationships between them (some of them exclusively revealed in this book), including many ground-breaking family trees. The book includes details of where all these varieties are grown, their characteristics in the vineyard, and – most importantly – who makes the best wines from them and what their wines taste like.